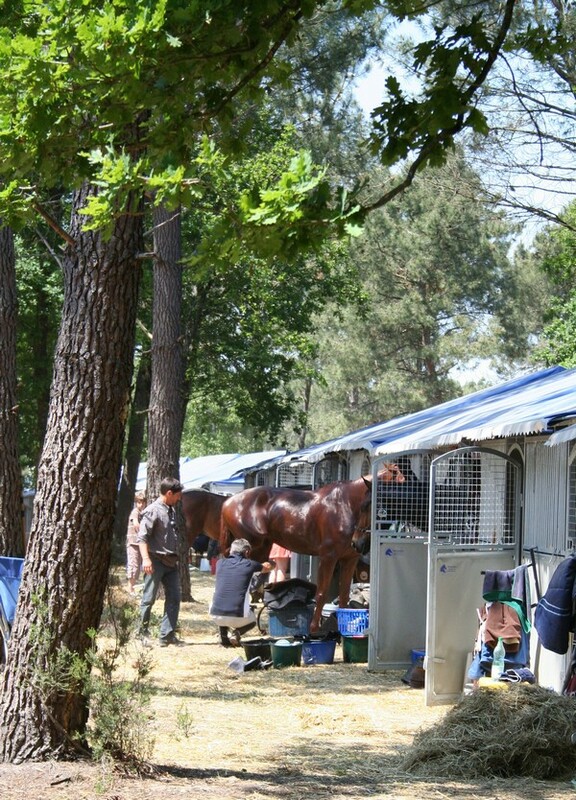 Within the space of a few weeks I’ve seen both ends of the spectrum of horse welfare from the extreme neglect of the unwanted souls at markets, to the minutest attention to detail paid to the horses behind the scenes at the Saumur 3* 3DE. 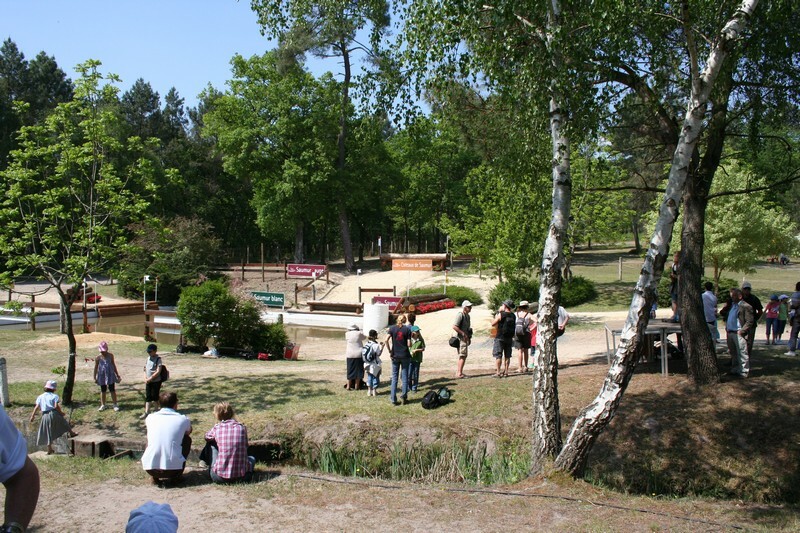 After recent outings to several Foires des Chevaux, it was wonderful to be going to a horse event simply for fun, with no intent other than to catch up with old friends and enjoy the competition ……. it’s been a while! Watching the care received by event horses was just sheer pleasure. Riders not only pay great attention to their charges well-being in general, but also when on the cross country. At Saumur there were concerns about the ground, not only about the turf areas being firm, but also about the pull on the horses’ legs from the sand tracks. UK horses had left fairly chilly weather, so the French heat was an added factor to be considered. 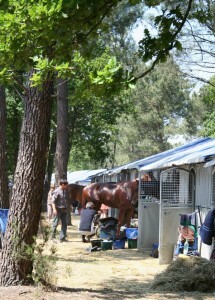 The preparations for each horse before the riders get on takes about an hour. The horse is plaited, groomed, studded, booted, saddled then bridled, with last minute aesthetic touches of quartermarkers and hoof oil completing the picture. As riders leave the stables, their faces show the focus for the task ahead, the horses march out purposely underneath them, supremely fit and gleaming, full of anticipation for the task ahead. 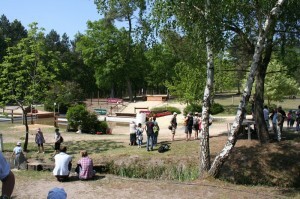 Grooms and helpers go to the main arena, with the kit for attending to the horses as soon as they finish. After warming up around the showground, the riders arrive at the start, last minute tack adjustments are made and the horses’ legs greased. The tension builds as the starter counts them down, then they’re off and connections wait anxiously, straining to listen for news of the rider on course. After ten minutes of seeming eternity, suddenly the horse appears over the last fence and into the arena, and all hell is let loose…. 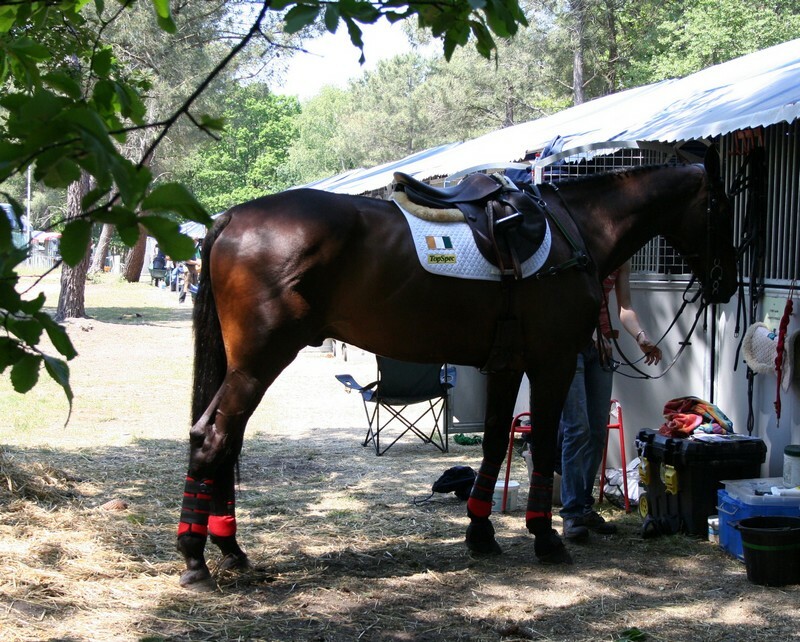 tack off, the event vet takes the horse’s temperature, countless buckets of water to wash and scrape again and again, the horse is walked, given a drink, the XC boots come off and the cool boots go on and the horse is kept walking. 5-10 mins after the finish, when the horses temperature will be at it’s highest, yet another vet check to guage pulse rate, respiratory rate and temperature, then more washing, more scraping, more walking, studs out and finally the horse is taken up to the hoses in the calm of the stables to stand under cool running water. Ice is then put under the boots or bandages to cool the limbs, the horse is throughly checked for any nicks or marks, and then left in the stable to rest with some food. Any potential problems are treated or avoided with cooling products such as leg ice, various magnetic and pulse therapies and the employment of back and massage specialists. The horses are continually monitored until the stables are shut for the night. The vet check in the morning is a trot-up on a firm surface to ensure the horses are fit and sound enough to do the show jumping phase on the third day. Only one horse was spun, the riders’ worries having proved unfounded with most horses showing no ill-effects from the previous day. The CCI3* was won by Germany’s Frank Ostholt on Mr Medicott, and the CIC2* won by France’s Nicolas Touzaint on Neptune de Sartene. You can see the full results on the SAUMUR site.